The Case Western Reserve University men’s and women’s swimming and diving teams began the 2018-2019 campaign against John Carroll University. Both teams won, with the women winning by a score of 216-80, and the men 153-147. For the women, fourth-year swimmer Suhan Mestha won two events in the freestyle, the 50-yard and 100-yard. Fourth-year swimmer Bhavya Kumaran notched the top spot in the 100-yard and 200-yard backstroke. First-year swimmer Sarah Krueger won the 200-yard butterfly and 500-yard freestyle. Third-year diver Adi Alkalay won the one-meter dive, and first-year diver Hailey Seibert finished first in the three-meter dive. On the men’s side, second-year swimmer Sean Twomey earned first in the 200-yard breaststroke and the 200-yard individual medley. Fellow second-year swimmer Will McDonald got first in two backstroke events, the 100-yard and 200-yard. Second-year swimmer Jakob Woerner took first in the 200-yard butterfly and first-year swimmer Nicholas Schoenig earned first in the 200-yard freestyle. The teams are in action again Oct. 27 at Carnegie Mellon University. 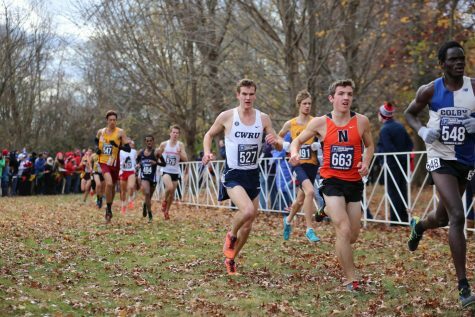 The CWRU men’s cross country team earned first place of 27 men’s teams and the women placed second of 26 women’s teams at the Inter-Regional Rumble on Oct. 13. 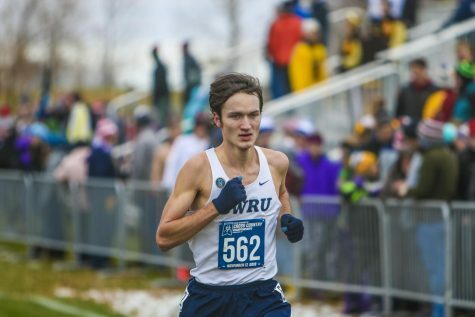 On the men’s team, third-year runner David Hall finished in fourth place among all runners, the highest among Spartan runners. The second Spartan runner to cross the finish line, second-year runner Trey Razanauskas, earned seventh place. The final Spartan runner in the top-10 was fourth-year runner Zach Roshon, who finished 10th. The women finished just behind the host, Oberlin College. 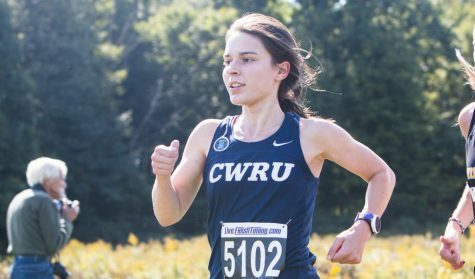 Third-year runner Madeline Lindemann was the top CWRU finisher in fourth place. In 15th, the second Spartan to cross the finish line was second-year runner Kiera Olson. Fourth-year runners Isabel Torres-Padin and Ellen Sears finished in 19th and 20th place, respectively. Next up for the Spartans is the University Athletic Association Championships on Oct. 28.